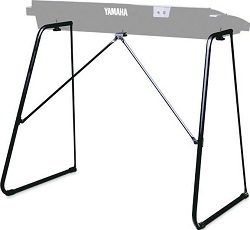 The Yamaha L3C keyboard stand is a popular choice for many keyboard players. You can find one online easily. The good thing about such keyboard stands is that they don't cost much. Don't expect to pay much more than $25 for the Yamaha L3C bolt-on keyboard stand. If you're on a low budget, this is the way to go. Are you looking for a music keyboard stand that provides stability? You want your keyboard right under your fingers when you're playing. Not shifting. Right? Because of the fact that this is a bolt-on keyboard stand, you will have no problems. Your keyboard will be firmly bolted onto your stand for maximum stability. And since this a bolt-on keyboard stand you don't have to worry about it falling down easily. Are you going to be using your stand in a school or the home? Will there be kids around? 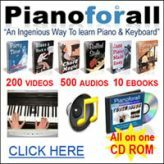 No longer do you have to worry about your Yamaha portable keyboard falling down. 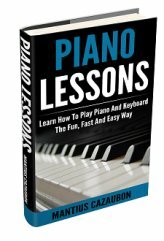 Do you want a keyboard stand that is easy to carry around? Well you should be delighted to know that you can fold the stand. This means that you can transport it around easily. This Yamaha music keyboard stand is compatible with DJX models, PSR models like the PSR230, and lower. Check out the Yamaha L3C keyboard stand here. Return to yamaha keyboard homepage.